يحظى فندق Bohemia Resort Cairns بمكان متميز في محور المدينة والاستمتاع بـ سياحة, مطاعم, شواطئ في هذه المنطقة الفاتنة. يجذب هذا العقار ذو 3 نجوم، والذي يبعد 1.5 km فقط عن وسط المدينة و 1.5 km عن المطار، الكثير من الزوار سنوياً. كما يمكن الوصول بسهولة إلى عدة معالم سياحية قريبة. 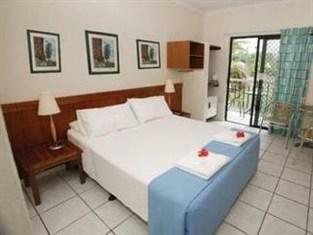 كما يقدم Bohemia Resort Cairns الكثير من الخدمات لإغناء رحلتك في المدينة. لضمان راحة ضيوفه، يقدم الفندق الخدمات التالية: واي فاي مجاني في جميع الغرف, خدمة غسيل ذاتية, واي فاي في المناطق العامة, صف السيارات, غرفة عائلية . تتضمن كل غرف النزلاء وسائل الراحة والتسلية المصممة خصيصاً لضمان الراحة القصوى للضيوف. يقدم الفندق مجموعة رائعة من الخدمات كمثل حمام سباحة خارجي, حديقة، لجعل إقامتك تجربة لا تنسى. يشكل Bohemia Resort Cairns بخدماته الراقية وموقعه الممتاز، قاعدة مثالية للاستمتاع بإقامتك في المدينة. As we flew in late we only stayed one night a nd left although we were booked for 7 nights! It is not a resort at all!!! The rooms dont have bathrooms and you share with th we other rooms! Flight and disgusting. Also a lot further out of Cairns and than they make you believe. Great location, clean facilities, lovely, knowledgeable staff ready to offer assistance with sightseeing questions and suggestions for decent dinner places. Would definitely consider revisiting this place if stayed in Cairns again. +Price +Large, nice rooms +Amenities and service -Distance to town (25-30 min walk) -The cleaning staff use a lot of shortcuts, by no guarantee will your bed be made every day or your room vacuumed. Clean upon arrival though. Exellent,easyto access out of hours.quiet, quite pleased. Lovely friendly lady at the front desk. I didnt realize that the facilities were shared showers and toilets which is my bad. I have a bathroom phobia so when I saw them I couldnt shower in them. Luckily I'm staying one night. The toilets need an update. The toilet seat looks terrible and yellow which could be updated with a nice new one from bunnings cheap. The sink was all flaking and looked like from a horror movie. The room was nice and clean. The curtains need updating which had a few see through holes and falling from the pole. The bed is far from the fan so it was a bit hot. The aircon is the old box aircons and just cool the room down. Nice cold fridge but old with a few rusted bars inside and bottom outside of the mini fridge. No light at the sink so not good to do your make up over. They have a few glasses, bowls and utensils, coffee, tea, small milk capsules in the fridge, microwave, kettle, hair dryer, provide clean towels, soap, shampoo. The bed is comfortable however of you are taller than me (I'm 168cm) your toes will hang. Room for 2 people on the bed. There is a table and chairs, a single sofa chair, tv and the wifi is average from none to 2 bars at most times. Floors are tiles and were nice and clean.I didnt see anyone use the pool and the place wasnt lively at all. If you are on a budget and dont care about bathroom looks so much this place should be good for you on a budget. I wouldnt be staying here again just personally because of the bathroom sitsuation. The place isnt as pretty as the pictures but it's a budget place and it's been very quiet so far I havent heard anyone. Edit after midnight the wifi disappeared completely and hasnt been any wifi since. Just used to sleep and rest after a day trip. Not sure about pool, didn't use it. Hotel has 2 blocks of building: 1 is a community building and the other are rooms so community building and hotel in the same area..Next door started a construction so from 7 am .... but for a few nights still ok. This establishment was advertised on Agoda at a special rate on a particular date. I booked the room. Agoda had the room as a triple share room with either a queen or double bed and one single bed. On arrival in the room there was no bathroom and on querying this I was told that triple share meant we had to share a communal bathroom with a numbr of other rooms. The room was old and not very clean and only had one double bed. We checked out within 30 minutes after finding another room at last minute. The establishment refused to give me a refund because it was booked on Agoda. On contacting Agoda they refused a refund as they said it was up to the establishment to give me a refund. I was out of pocket for a room I couldn't use. Never again at this establishment or booking on Agoda. Excellent staff! Great location! All facilities!! We've stayed here several times. If you just want to be close to the airport for a very cheap price, this is the place to stay. 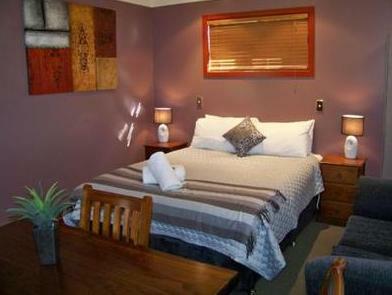 Rooms are great and we have no complaints! 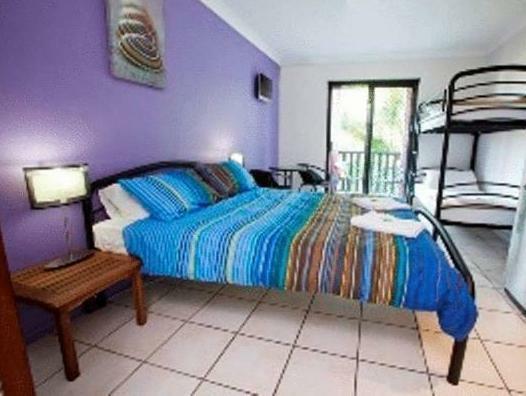 The best value for money in Cairns.It is bit of a walk to town but I use it for a stop over to the airport.Cheap ,clean with a fridge,tv, microwave and a comfortable double bed. You can’t really ask for more. 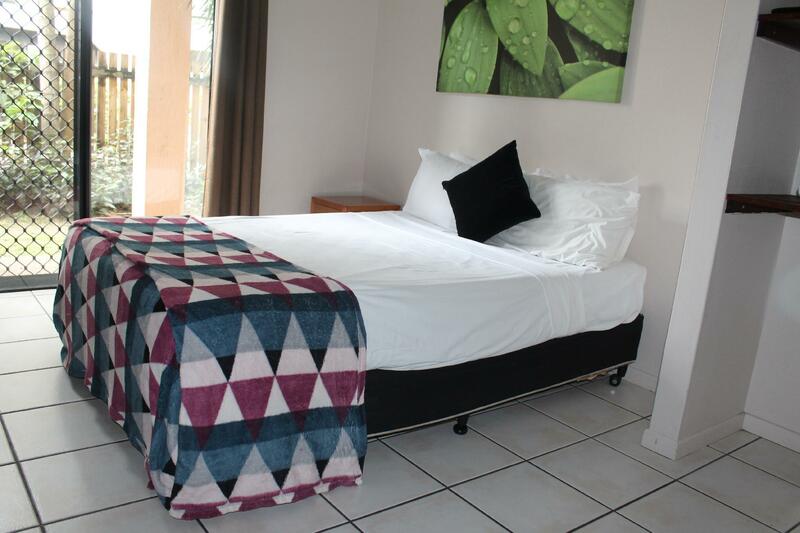 The blankets had dried food stuck to them and large holes and tears, there was no shower or toilet in the room (even though we had booked an ensuite room) so sharing a bathroom and toilet with other people when you have a baby that wakes in the night was anything BUT pleasant. The fridge was rusted, there were no facilities like a microwave or kettle. The staff were unapologetic about the mix up with the room. Had I known there was no bathroom in the room we would NOT have booked to stay here. Will not return. The first day we returned to find only the garbage bin emptied but our door left wide open. Fortunately, nothing was missing. Complaints fell on deaf ears. Signs on the back of the door warned of illegal "fines" for varying offenses. No private company can issue 'fines' in Australia. I'm sure the ignorant are intimidated but not me. We were there for five nights with no change of towels, sheets or top ups of coffee, sugar and the such. After complaining about the door being left open, no one entered our room at all. The sign on the back of the door requested we strip the sheets off the bed on check out and take to reception. After five days with no change, I figured the sheets could walk to reception by themselves. If you are looking for cheap, no service then this is your dream. For me? Never again. Only stayed 1 night but overall, average rooms with slightly outdated décor. Otherwise, there's a TV, a kettle, a pretty comfy big bed, a minibar, a fan and A/C and a small balcony. And it's a shared Bathroom/toilet. There's a pool and wifi. Not many shops around if you need them. Not sure if I'll stay again. Second stay. Poolside room this time with no ensuite. Woops! Shared bathrooms and toilets your thing? I would only book again to get a full service room. Very basic. Minor things unsatisfactory, like broken door handles that needed attention. Loud doors and I was right next to a toilet So be prepared for the compromise. Cheap, that is the true nature of this place and away from the centre of the city. Good location if you are flying in/out of the Cairns Airport. Car parking ... out on the street, feels like a worry.